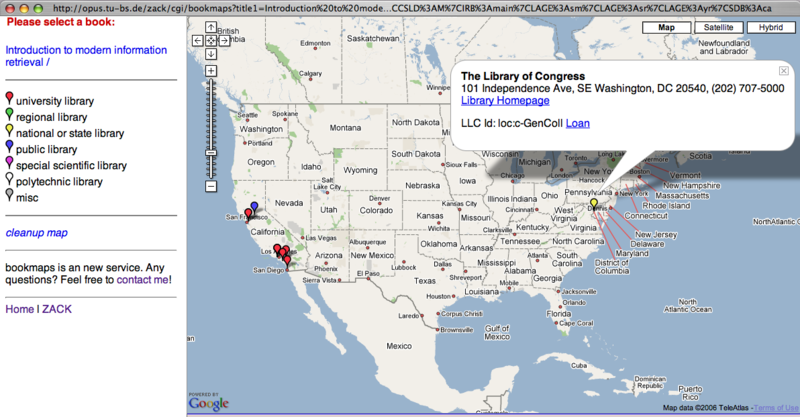 ZACK bookmaps is a web application to find, locate and loan a book with google maps. After a book search, follow the Google symbol next to a book to get the physically location. 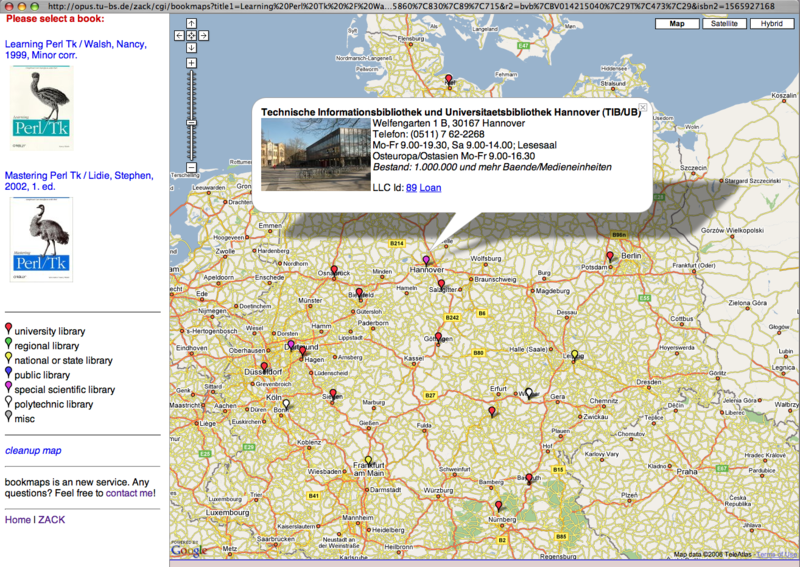 bookmaps is an new service. Here are some technical details.